Do you believe in the dark side? We all have one. Darth Vader for example, is one of those guys you wouldn't want to fight in a duel, especially If you only have one hand. But there's also a good side to people, even someone like Vader. 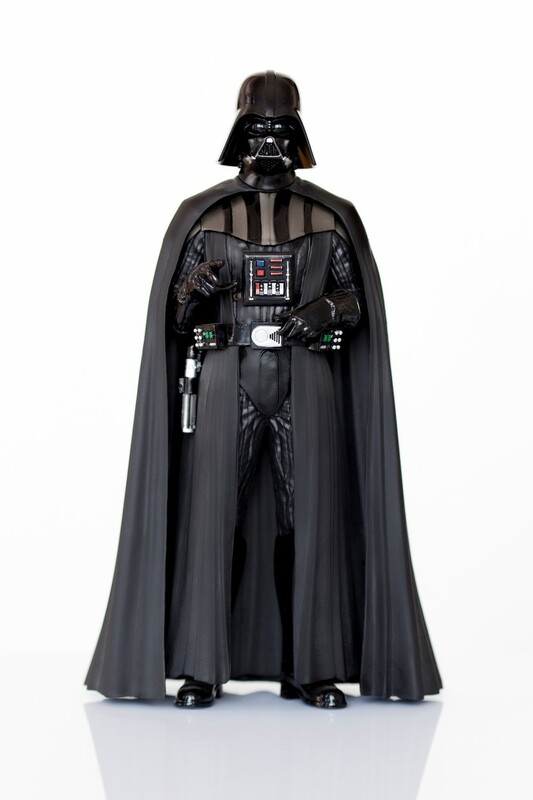 Imagine Vader and his black, shiny mask. Now picture that mask needing to be polished every, single day. Who would polish it? Vader isn't going to polish his own mask. That's beneath him. So, what does he do? He employs some padawan to do it for him. He did have interns once. They left him once they saw how he cruel he was to the local Ewoks. It was a hot mess. It took five days just to collect all the fur. They didn't receive one cent from him, just a 'Thanks' and a used vacuum cleaner. That's in the past however. Vader learned his lesson and began a payroll for prompt payment for his employees. He even got them to clock in and out each day digitally from their mobile phones, so he could store the hours and pay them through single-touch payroll. Gone were the days when people got credits for food. Vader pays his employees in money, allowing them to make their own purchases. One employee, a former Yoda disciple, received a huge pay raise, allowing her to buy her very own N-1 Naboo Starfighter. She was pretty happy and the best part? She tracks how much she earns each pay cycle. So, when she has to pay taxes to the empire, it's super easy. She doesn't even have to think about it. What was he using? Xero payroll of course! Unbelievable, isn't it? Darth Vader making a young padawan's dream come true. What a miracle. Some may wonder why someone so seemingly sinister would choose to be by the Fairwork award and pay his underlings so well and so promptly. Why the change of heart? Well, it began with Emperor Palpatine. Vader saw how he treated his employees. He would underpay his staff, refuse to pay superannuation and changed employee pay rates, employment contracts, and statuses, without so much as an email or phone call. That's why when one of Palpatine's nefarious plots failed, Vader knew why. "You're only as good as your slowest team mate." That's what Vader learned. By paying his employees well and making sure they're paid on time, he avoids the eventual mutiny that happens with unsatisfied underlings. See, Vader has a plan. He has some targets in need of light sabering. He can't risk it going wrong because of a disgruntled employee. Business is kind of like quicksand. If a person struggles to go against the tide and create waves of negative energy in the workplace, the person is bound to sink. However, if someone stays still, plays by the rules, there may be another tomorrow. There wasn't a tomorrow for Palpatine. Vader could hear the "Nooooooo" a mile away. Palpatine should have put his employees on single-touch payroll. You live, and you learn. Or in Palpatine's case, you do neither. Vader is above such a weak mental construct such as 'losing'. He is here to win and do what he does best, be bad. So, what does Vader do exactly to keep his employees happy? Pay on time: Employees hate being paid late and worse yet, when they have to dig through tons of paperwork to prepare their taxes. They want fast options for payment. Single-touch payroll allows for the electronic sending of payment and tax information to the Australian Taxation Office (ATO). This makes it easier at year end for their tax returns. 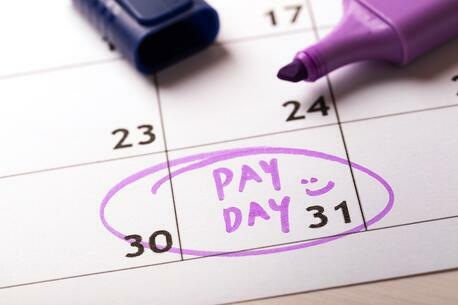 Employees don't have to worry about figuring out when or how much they'll be paid. Communicate with employees about any pay rate changes or other changes made like employment contracts. If employees don't receive the heads up ahead of time, they may feel cheated for the work they do. Underpayment or refusal to pay overtime not only makes a business owner look like he or she has fallen to the dark side, but further creates divide from the professional images customers and employees have of the company. Pay fairly and accordingly. Darth Vader is still a bad guy. He's a nefarious villain. But, just because he's part of the dark side doesn't mean he takes advantage of his employees. At least not anymore. He learned so much from the Ewok debacle of 10 BBY and you can too. There is room to grow. If you want to learn from the true masters of payroll, Eye on Books, send us an email or give us a call. We know all the Jedi mind tricks to help you establish a stable and effective means of paying your staff. Or, we can do it for you. Eye on Books is next level when it comes to ease and communication. Something Emperor Palpatine should have learned.